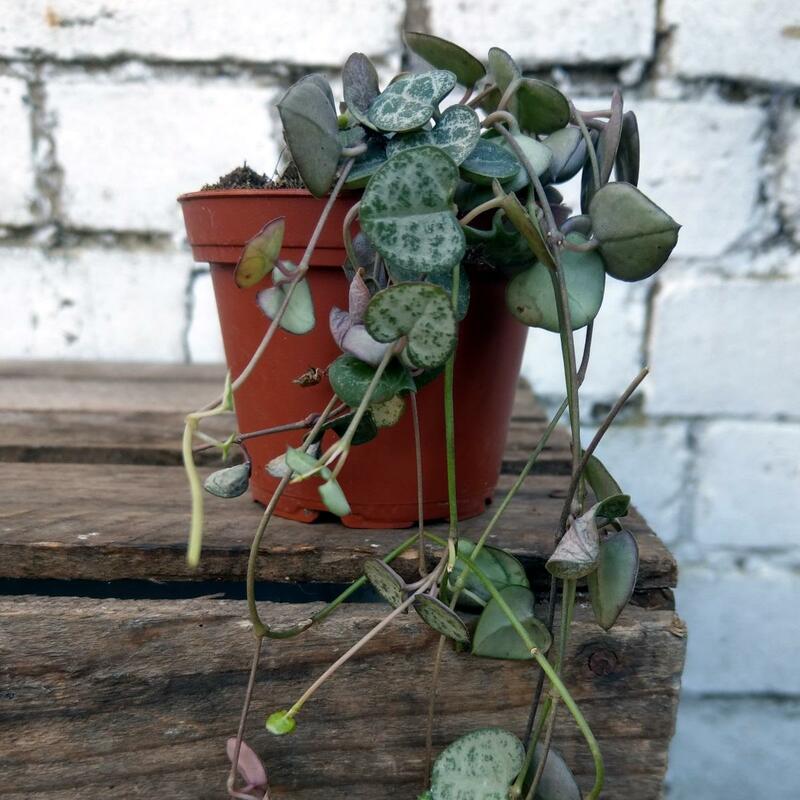 The String of Hearts, sometimes called Chain of Hearts, or Ceropegia Woodii to give it its proper name is one of our favourite plants ever. 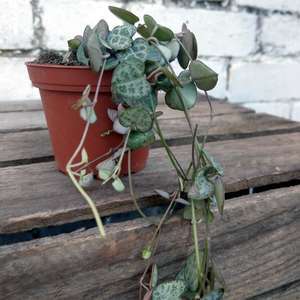 It's actually semi succulent, which automatically means it's easy to care for, but it looks far more impressive than most plants. 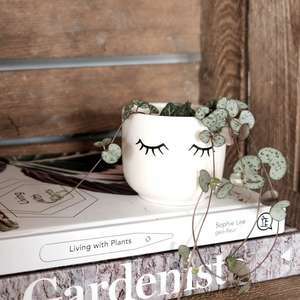 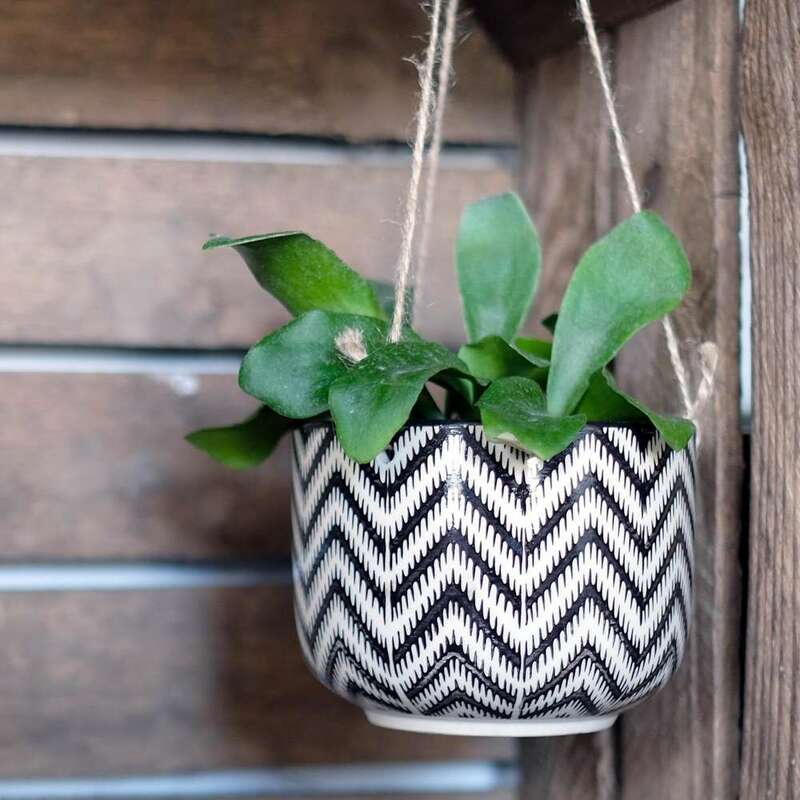 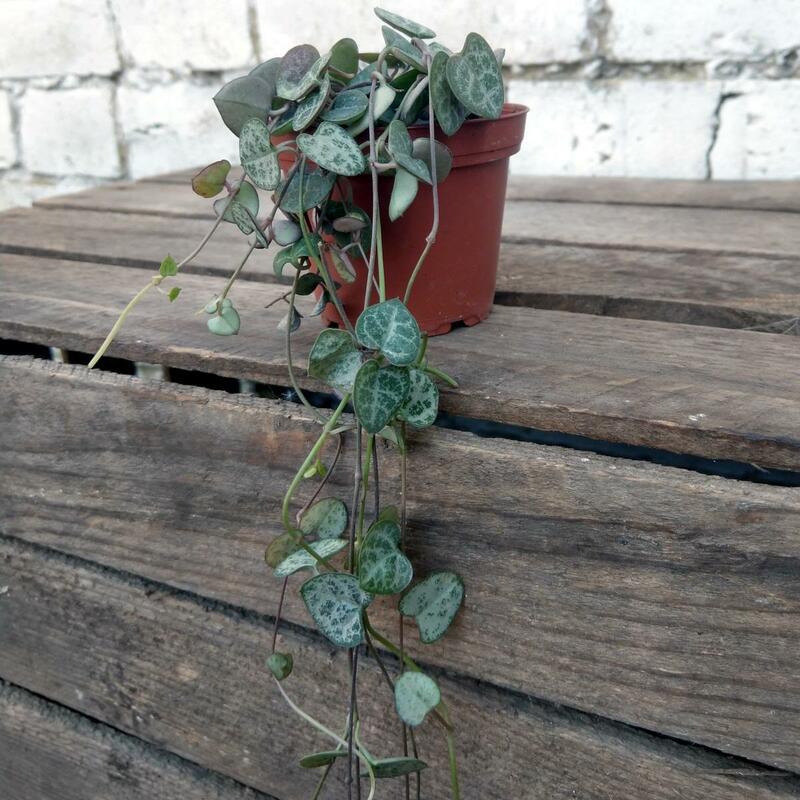 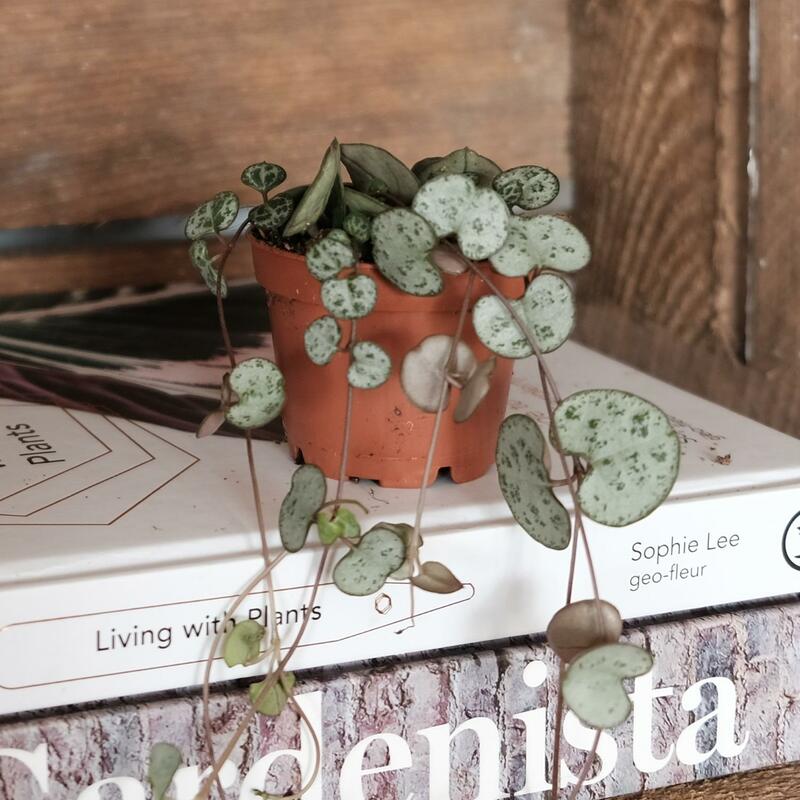 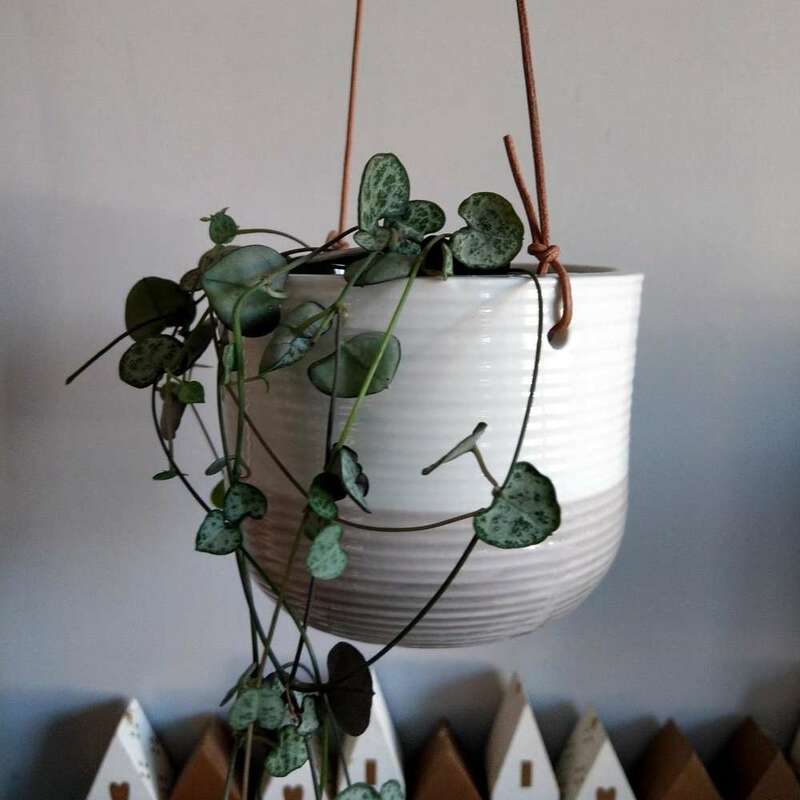 With it's trailing variegated green heart shaped leaves, its perfect for a hanging planter or perched on the edge of a shelf so its hearts can trail downwards. If you provide a happy place for your plant not only will it grow very quickly, you'll also be rewarded with some pretty trumpet shaped white flowers. 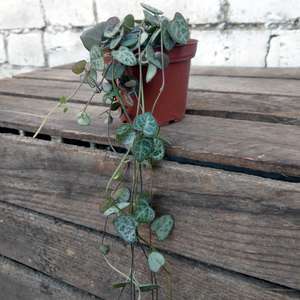 The string of hearts enjoys a sunny spot, and requires moderate watering once a week or so - although it would prefer to be a little too dry than a little too wet. 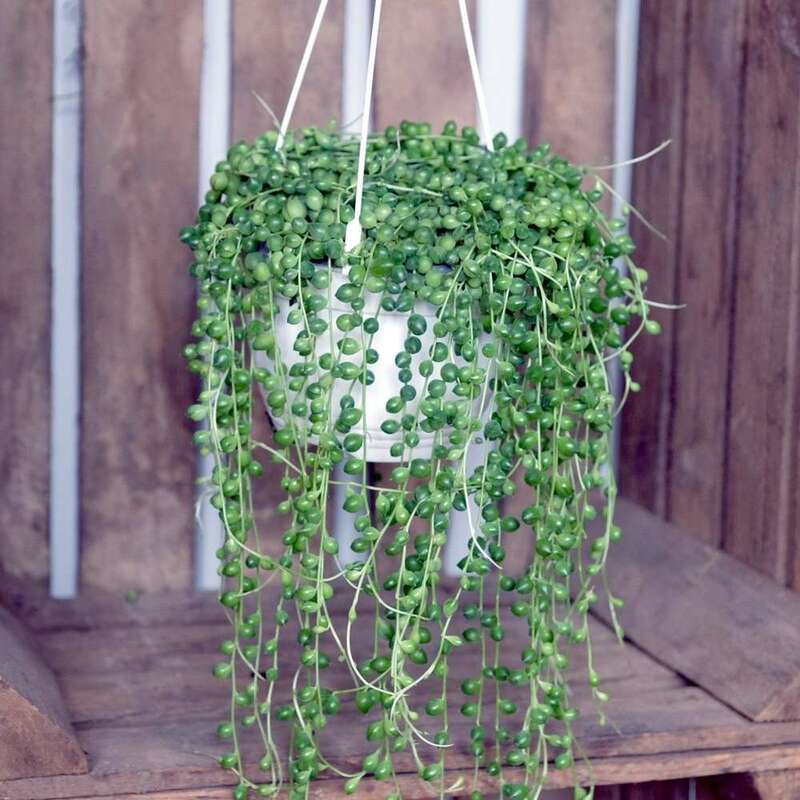 It also enjoys a light misting, although this can be reduced down during the winter. The string of hearts plant is available in three sizes, 5cm, 8cm and 11cm, and is supplied in a plastic pot.